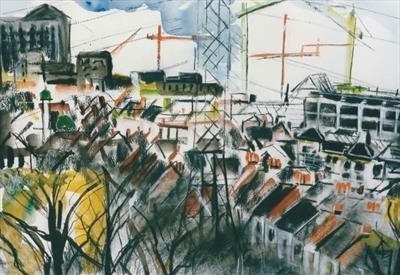 'The View Across Oxhey Park' 1990. Drawn en plein air looking towards Watford, Hertfordshire. Showing the changing urban skyline ... Collection Bushey Museum.